There’s nothing that says spring more than pansies, flowering bulbs, and Spring Magic! 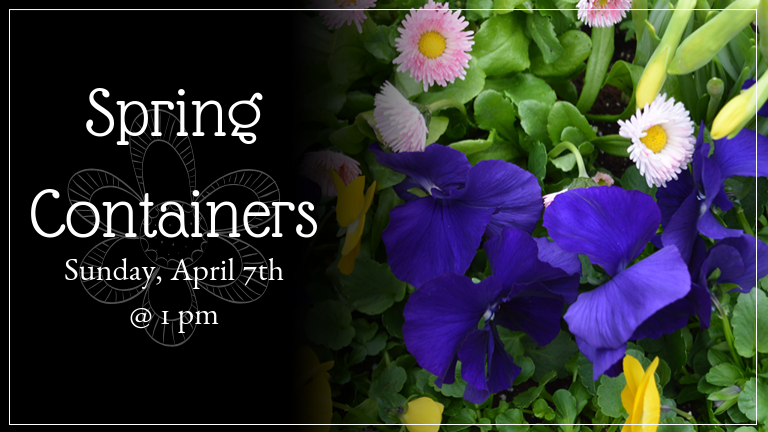 For this class, bring your own container or select one of ours as we plant a beautiful container for your doorstep for springtime. We will only use plant material that can withstand a light frost, so that it can stay out on most April nights. The cost of this class is dependent upon the plant material used and whether you purchase a container. To register for this class, please call (978) 352-8172. There is a $5 soil fee payable at registration time.